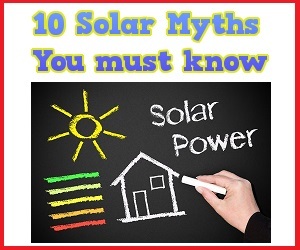 How do Solar PV Systems work? You Are Here: Home / SOLAR NEWS: Our Blog / Uncategorized / How do Solar PV Systems work? How Solar Power Systems Work? At present time solar power is the super clean and most practical form of renewable energy. Actually this system can be used to generate virtual electricity as like as genuine electricity. Day-by-day the solar technology is improving vastly and the power system become more smaller and efficient. Normally solar energy is collected by using solar panels, where the radiant heat is converted into energy easily to produce natural electricity. Every solar power system consists of four components such as solar panels, inverters, batteries and a charge controller. Actually solar panels are sets of connection and blend of several photovoltaic cells, where each cell is coated with two layers such as positive and negative to generate normal electric field. Getting photons from the sunlight energy particles, which enter into a cell allowing the each electrons to be free completely. The flow of free electrons through wire connected photovoltaic cells become natural electricity. At the time of installing solar panels try to arrange them at the proper place for getting maximum solar exposure. It’s too important. Actually the solar power inverter is such an electronic device which allow the photovoltaic cells direct current (DC) into alternating current (AC). Normally this is used inside the home or building. Every solar panel inverter directly connected with electronic grid or photovoltaic system. To get any desired voltage and frequency the solar power inverters can be used with transformers and control circuits. Nurtured energy by the solar panels store at power batteries normally. Easily this energy can be used at night when the other lighting energy such as sun, DC directed bulb is not available at nearest location. Lead-acid batteries can be a best choice due to its best performance, good efficiency and lowest price. Normally the sets of batteries used in solar system is called battery bank. It is true that a battery bank should be sized and accomplished to store energy for 5 operating days without taking energy from the sun. The charge controller is needed for extending the life of the battery bank. It saves batter from overcharging, activity of voltage increasing with monitoring battery voltage too. At the time of drop down the voltage it allows the current to stay at moderate level so that the batter can be charged again easily. Controllers size selection depend on the amount of current they will handle and the future expansion needed for your photovoltaic system. Due to technological advancement and greater efficiency of its components the solar power system has become more accessible to the public. The solar is completely free which we take from nature and it helps us to reduce electricity bills dramatically at any situation.